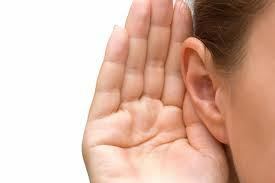 It’s more successful to listen now gaining understanding, than misunderstand later for failure of listening. May there be more emphasis on “listening” to the Father and talking less than more emphasis on talking to the Father and listening less. To listen is strength, to talk is energy. Thank you for this gentle reminder to LISTEN for sometimes I just need to shut my mouth and listen! Praise God for 2 ears and 1 mouth!